DIAMOND FIREPLACE SCREEN by Accent Plus home decor, jewelry, decor, decorations, electronics, fountains, floor mats, art glass, vases, garden essentials, fireplace screens. Modern, sleek and elegant! 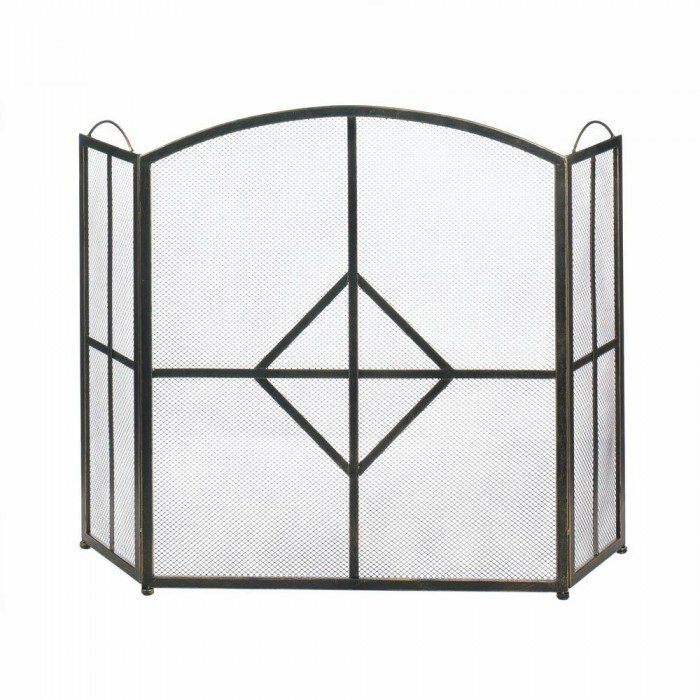 This striking fireplace screen is made from iron and features a three-panel design for a sure fit at the front of your fireplace. The center of the front panel is decorated with a bold diamond shape that's "wow" worthy. IRON METAL - MESH. Weight	9.6 pounds. Dimensions 28" x 10" x 32".